CLEVELAND, Feb. 20, 2019 -- RecruitIQ Staffing, a Cleveland based IT staffing company, announced today they are changing their name to GHR Technology. Along with a complete rebranding, the move is meant to provide a more immediate understanding of the company's emphasis while better aligning with their parent company structure to form a comprehensive healthcare staffing company with divisions focused on clinical, allied, professional, and IT. GHR Technology provides a wide variety of IT staff, primarily to healthcare focused organizations across the country through contingent, contract and direct hire services. Since acquiring GHR in 2017, the collaboration and synergies between the two organizations has been tremendous. Coming together under one name will unlock even more opportunities to serve healthcare organizations and partner with health systems in recruiting and staffing. A member of the GHR Healthcare family of companies, the new name and branding accomplishes several business goals. "We're very excited about the name change," said Tony Caponi, Division Vice President of GHR Technology. "First, it makes a definitive statement about our dedication and focus to the IT market. At the same time, it aligns us with the other companies in the GHR Healthcare family, helping clients better understand the complete range of staffing support we can provide." GHR Technology places qualified IT personnel across four main IT segments; Clinical and Business Applications, Data Analytics and Insight, IT Infrastructure and Cloud Enablement, and Executive Recruiting Services. Under the experienced leadership of Mr. Caponi, a ten-year veteran in IT Healthcare staffing, the company has seen tremendous growth since he joined. "We are so proud of Tony and the progress we've enjoyed over the past four years," said Janet Elkin, President and CEO of GHR Healthcare. "Technology plays such an important role today in patient outcomes and affordable care. Providing IT personnel is our way of contributing to the quality of care delivered." The scope and impact of technology continues to expand within healthcare. From cutting-edge technology for diagnosis and treatment of disease, to the collection and documentation of electronic records, technology is now a cornerstone of the industry. "The importance of having the right technology personnel is quickly becoming as important for healthcare facilities as having the right clinical care staff. We're honored to help our clients meet these critical needs." Based in Cleveland, OH, GHR Technology specializes in the sourcing, recruiting and placement of IT professionals on contingent, contract and full-time positions at hospitals and healthcare facilities across the United States. They are a member of the GHR Healthcare family of staffing companies. Visit www.GHRTechnology.com for more information. 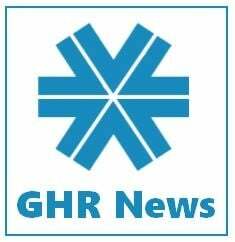 GHR Healthcare is the parent company to a family of operating brands focused on healthcare and community-based staffing: General Healthcare Resources, GHR Travel Nursing, GHR Education, GHR Human Services, GHR Technology and GHR Search. Through these brands they provide a variety of workforce strategies and solutions, including contingent, per diem, long-term contract, travel, MSP, RPO and direct hire services to clients nationwide. Dallas, TX, November 20, 2018 – Janet Elkin, President and CEO of GHR Healthcare, the parent company of GHR Technology, has been named to the 2018 Global Power 150 and the 2018 Americas 100 lists by Staffing Industry Analysts, recognizing the top female leaders in the staffing industry. This is the fourth year the list has been compiled and her fourth time for being included. Dallas, TX, November 10, 2017 – Janet Elkin, President and CEO of GHR Healthcare--the parent company of GHR Technology, was a featured speaker at the Client Panel and Networking Event co-sponsored by EmpowerHer Women’s Business Resource Group and Capital One’s Commercial Banking Group, held in New York City recently. Dallas, TX, October 30, 2018 – Janet Elkin, President and CEO of GHR Healthcare, the parent company to GHR Technology, will be a featured speaker at the 16th Annual Healthcare Staffing Summit being held in Denver, Colorado this November. The theme of this year’s conference is ‘Excellence in a Time of Change,’ with Elkin’s session entitled ‘M&A: Non-Financial Matters After the Deal,’which will examine the opportunities, advantages, and challenges facing organizations, and the leaders, after the M&A dust has settled. Houston, TX, May 10, 2017 – GHR Acquisition, a Houston-based healthcare firm, has announced the acquisition of General Healthcare Resources (“GHR”), including their healthcare IT-based business line GHR Technology, a mid-market healthcare staffing company with offices in Pennsylvania, New Jersey, Delaware, and Florida. At GHR Technology, we think it’s time employers and employees take a new path. A smarter path.We use the latest sourcing, recruiting and placement technology, combined with years of IT staffing experience, to provide clients and candidates alike an intelligent way to solve employment challenges. Looking for a job or looking for great staff, our goal is the same: to provide you with an easy, convenient and successful experience. To us, that’s pure genius!